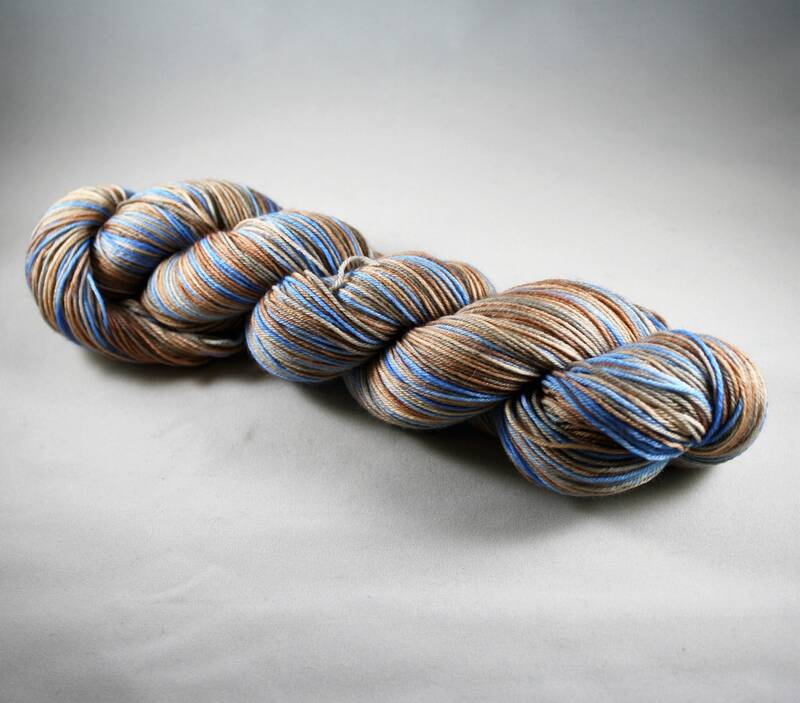 This hand dyed yarn is in beige, tan, light blue, and sand grey. Each of the colors are tonal giving the yarn more depth. 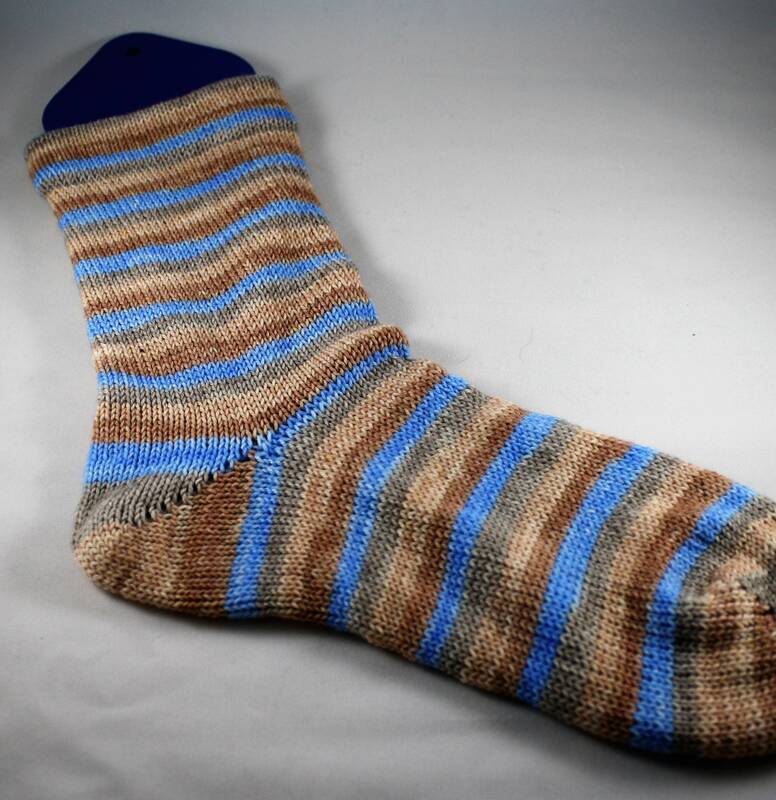 It can be used for socks, shawls, toys, or whatever you can think up.